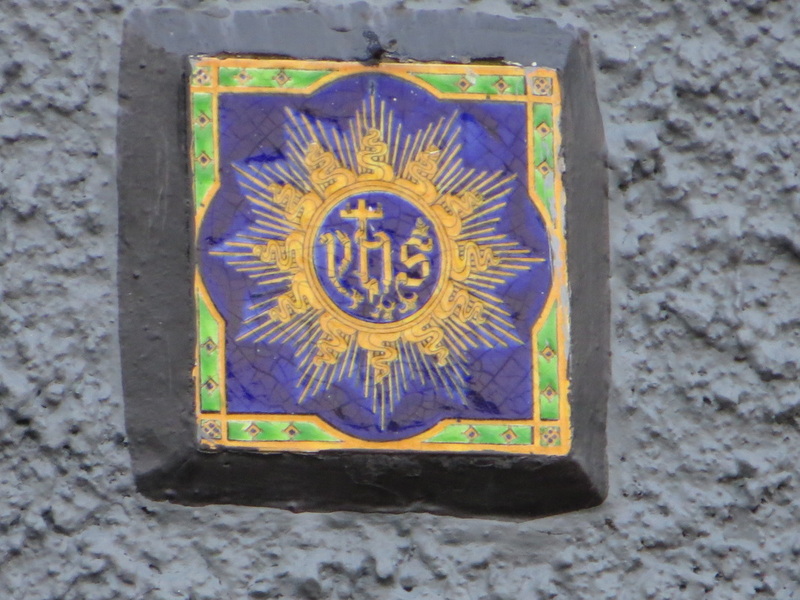 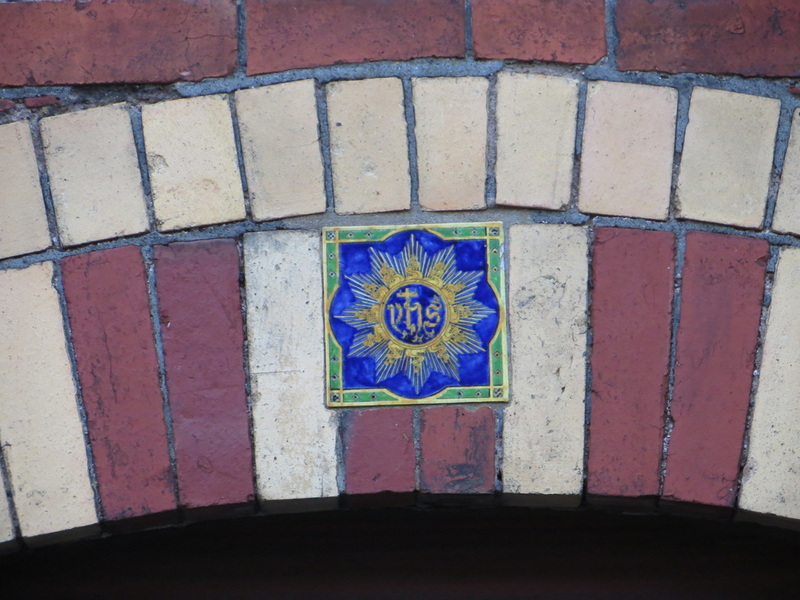 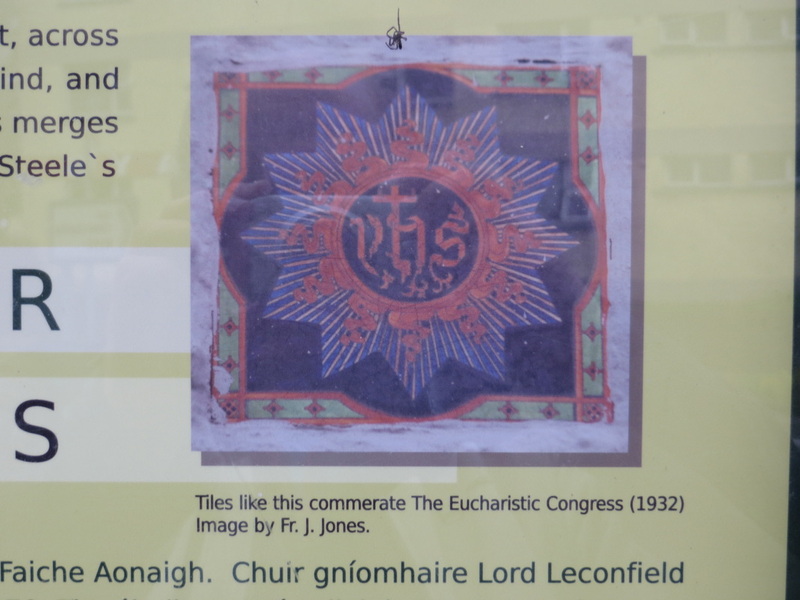 So far, I have come across 17 such tiles on buildings in Cork – there are more than 60 in Ennis and over 200 around Ireland. 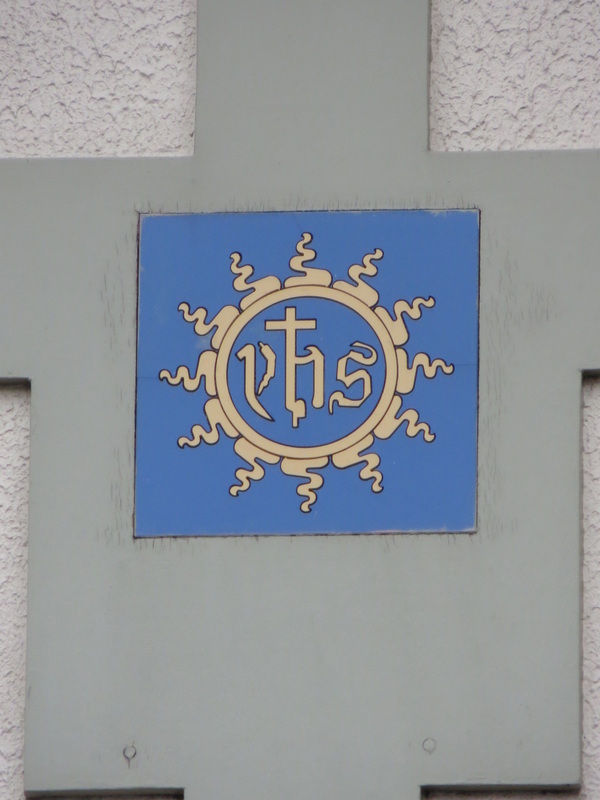 The Historic Town Visitor Information boards in Ennis include a photograph of one of the tiles and states that they were made to commemorate the Eucharistic Congress in 1932. 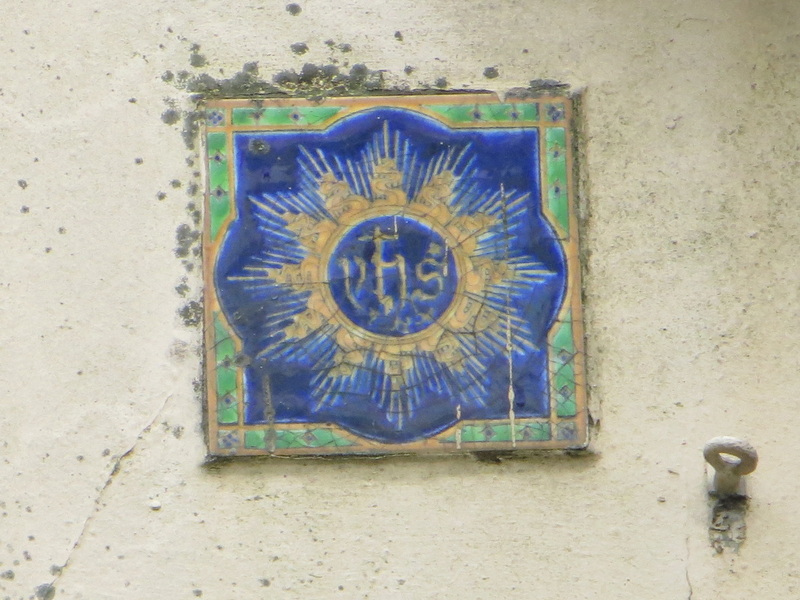 However, in January I read an article in the Irish Independent which stated that The Poor Clare's had come across research to indicate that the tiles were introduced earlier than that. 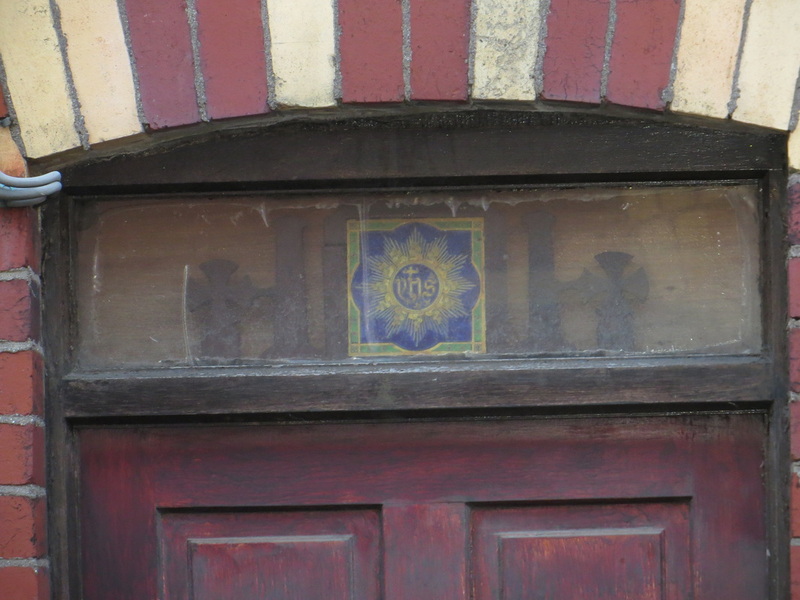 I first noted the three tiles at St Nessan St and St Brigid's St. Then after a while of walking and looking, the number sttod at 11 for some time. 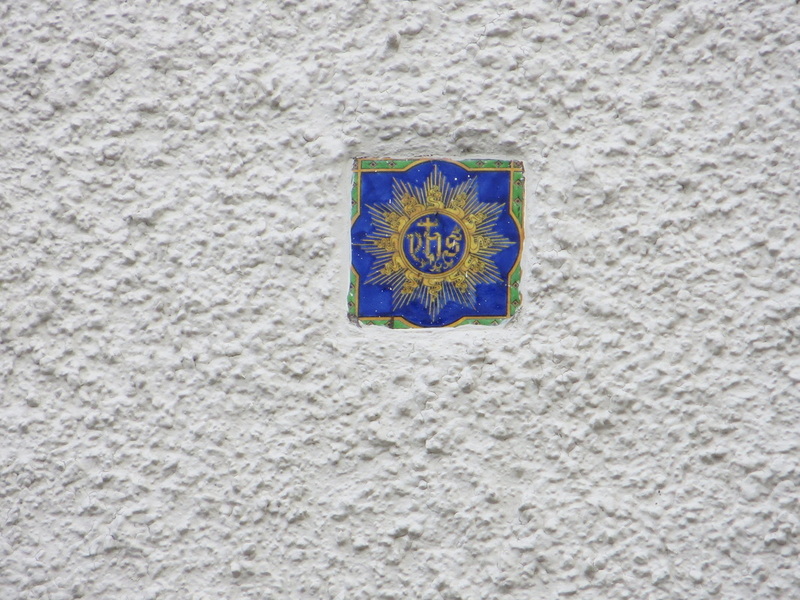 UPDATE 2014.03.18. 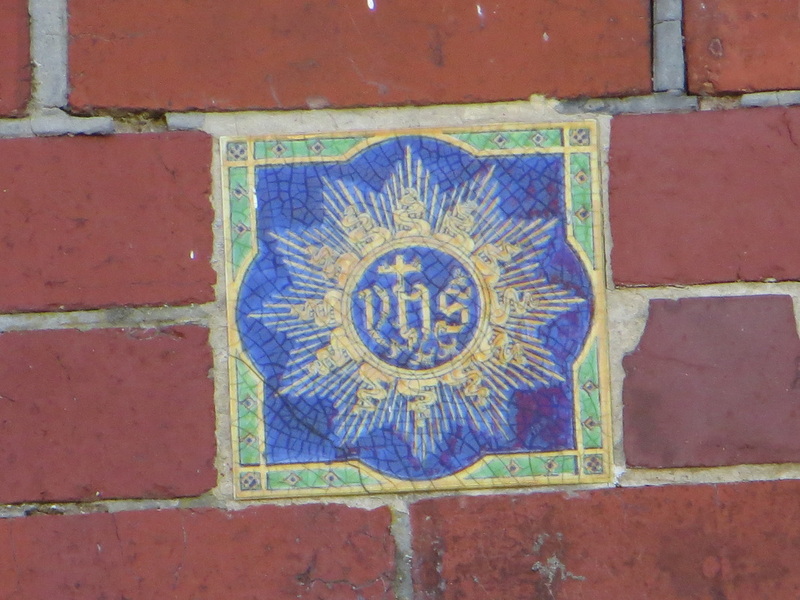 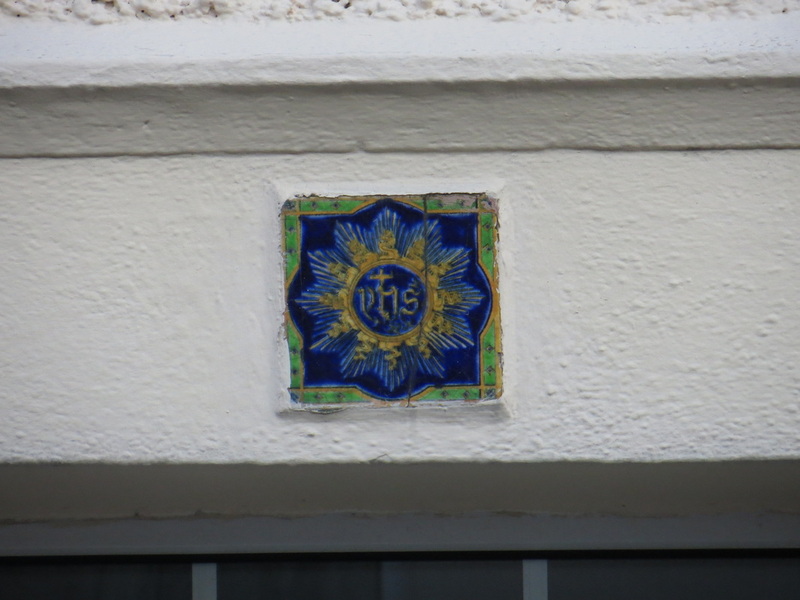 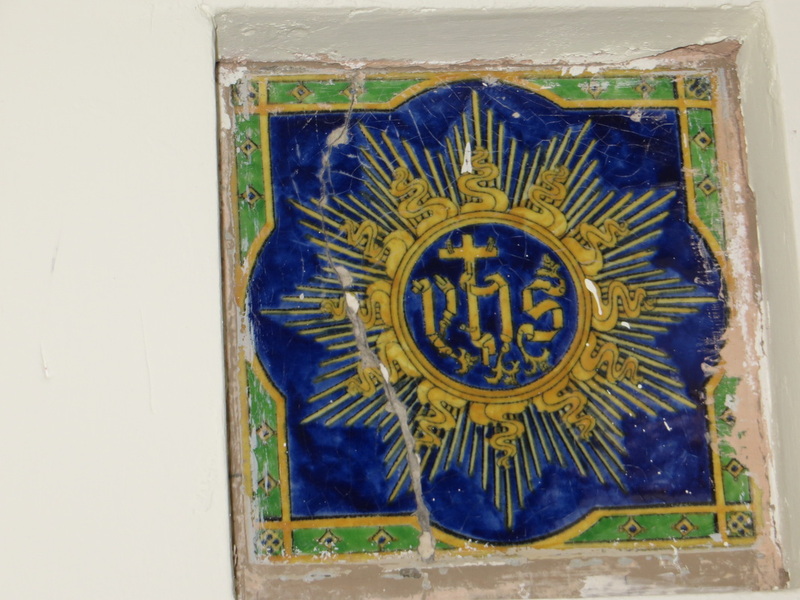 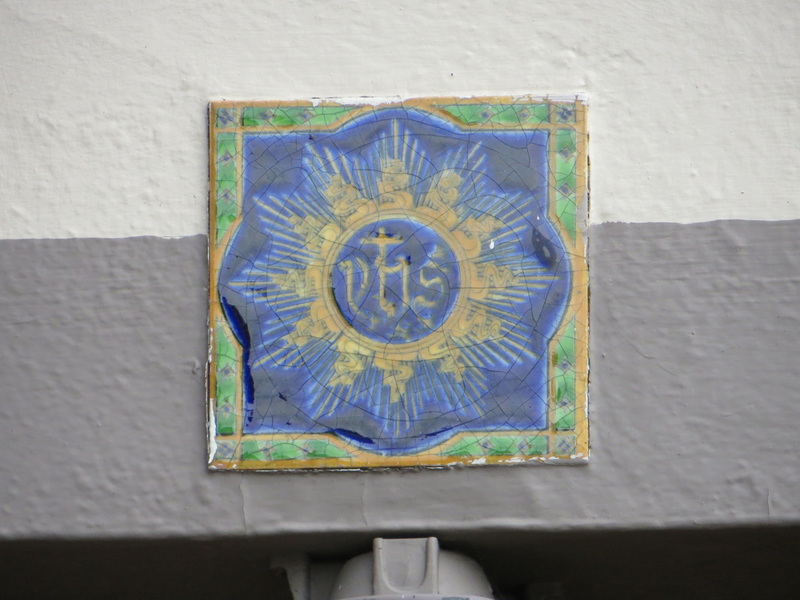 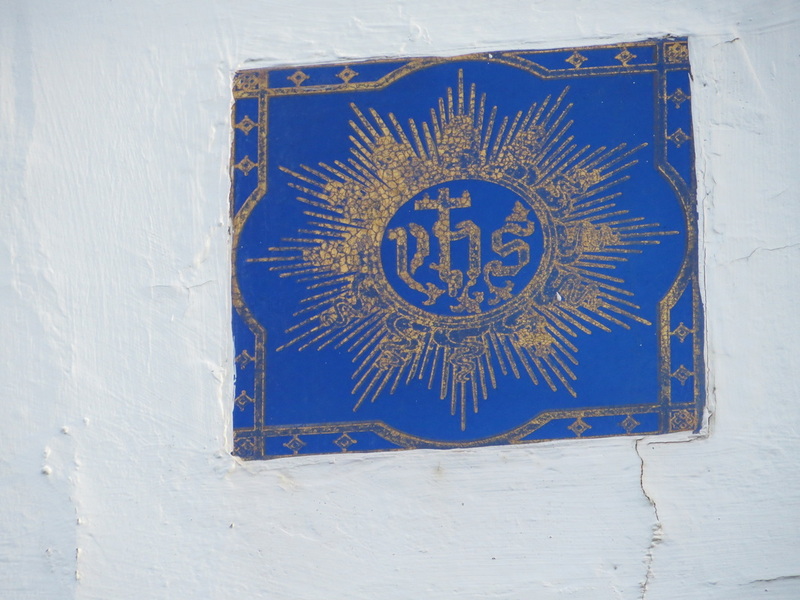 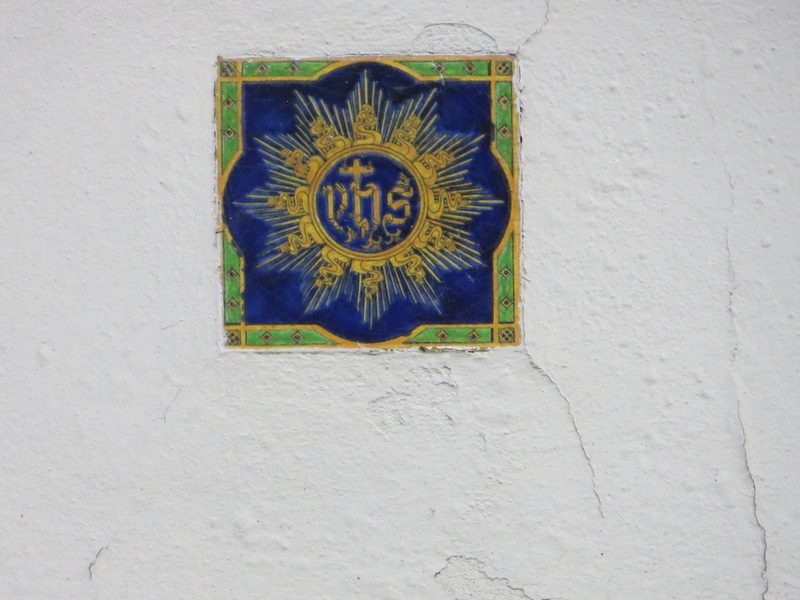 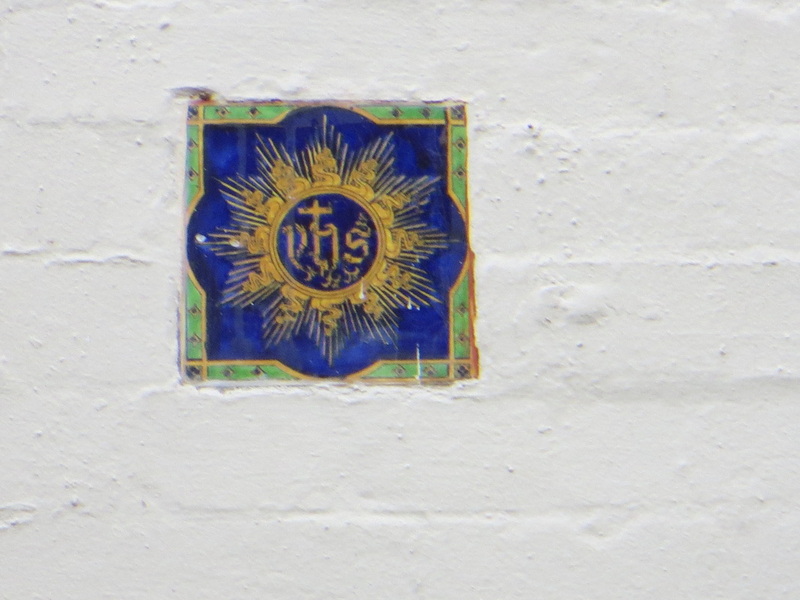 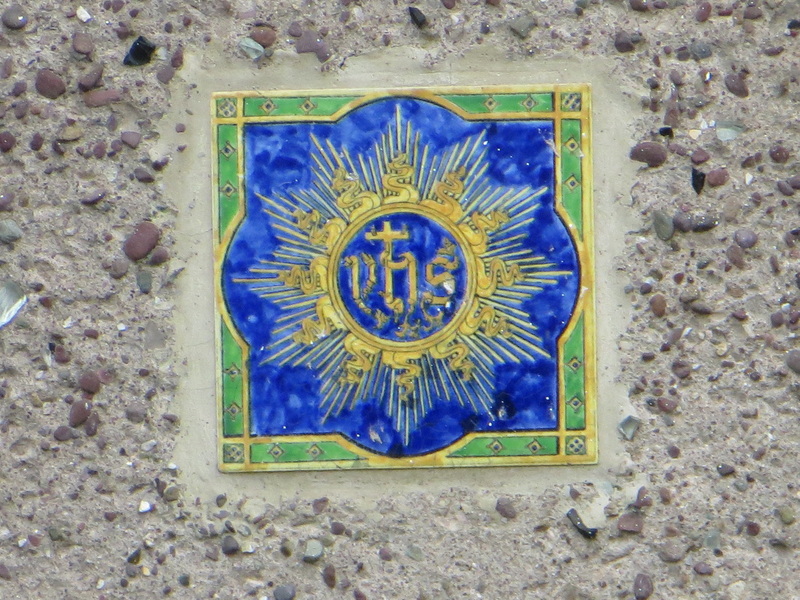 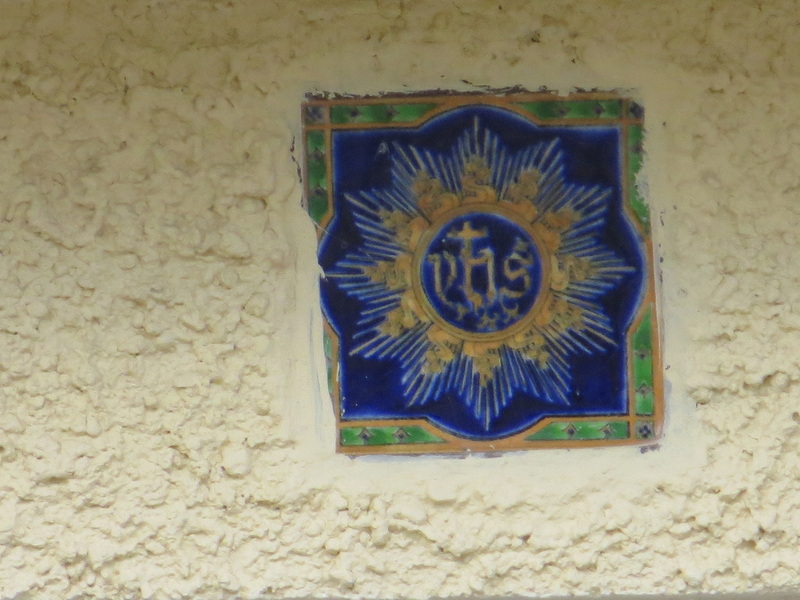 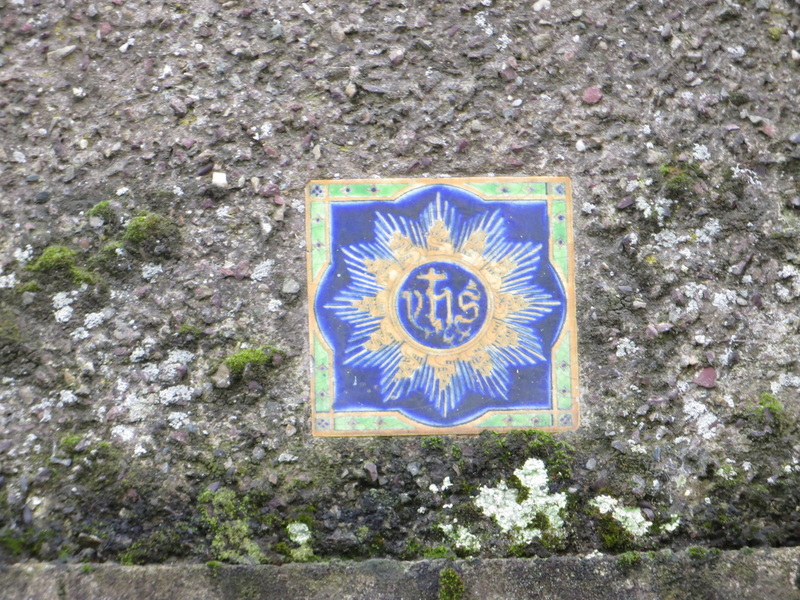 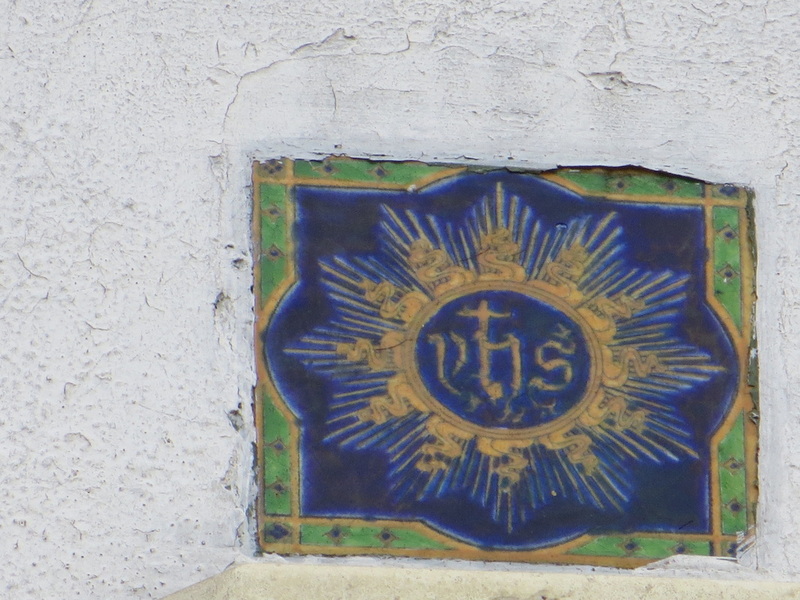 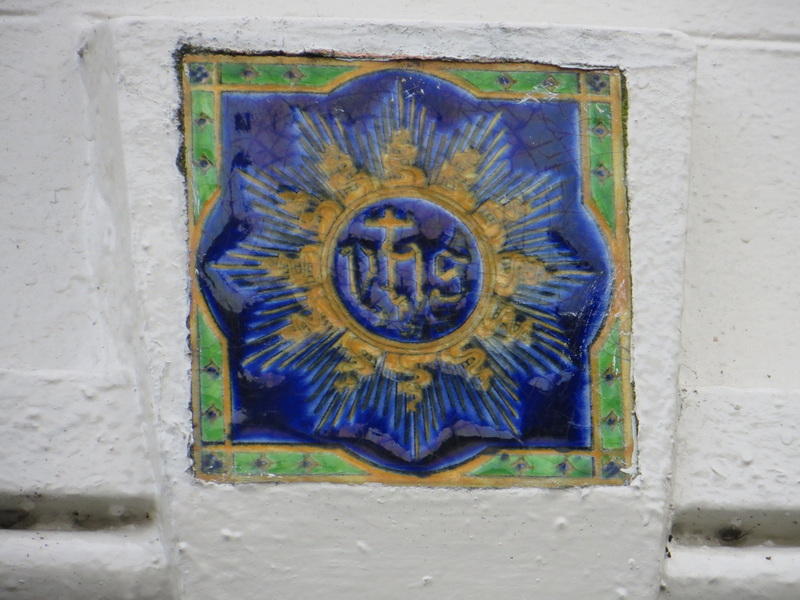 While out walking the dogs, I spotted two more tiles in the Turner’s cross area and understand that there is one in the Poor Clare Convent on College Road, so total now at 17.